This is another John Wilding designed tool, used to chamfer clock parts. 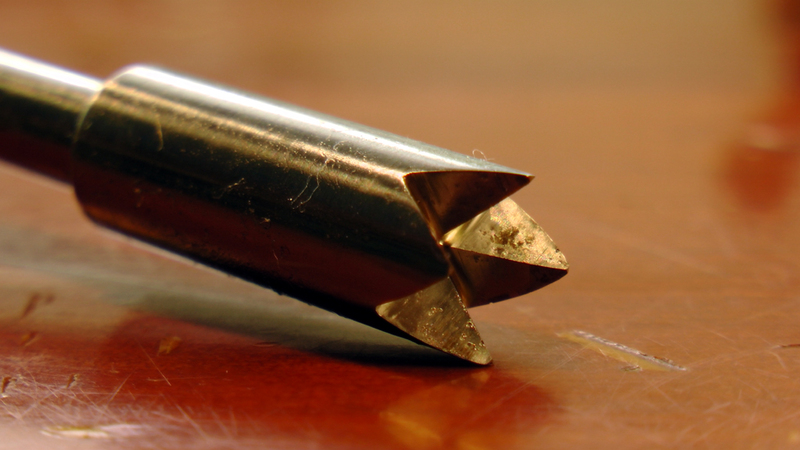 The crown shape of the hollow chamfering tool, is designed to provide a light chamfer to objects like clock pins. 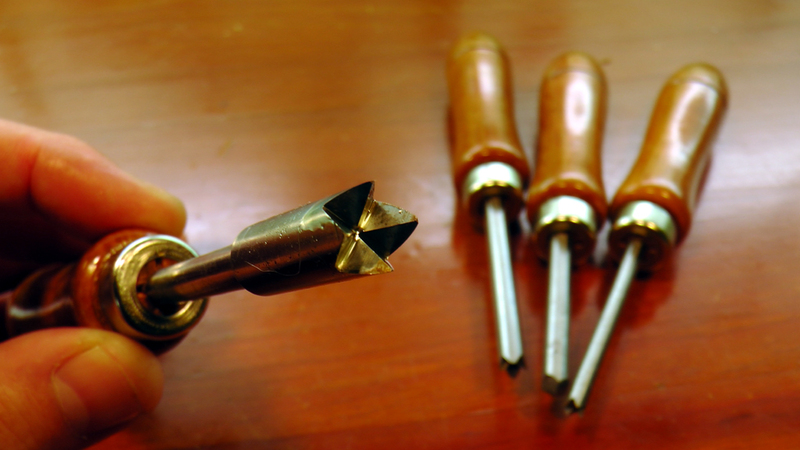 After these pins have been shortened by cutters or a belt sander for example, they usually have a sharp edged that needs to be knocked off. 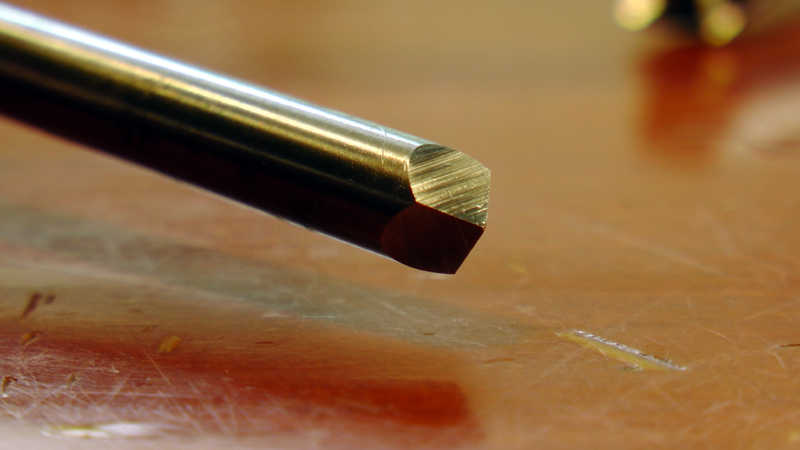 The tapered shape of the pin means that dealing with this edge in the lathe is not possible. That's where this tool comes in - a quick twist, and they're gone. Another good lathe and hand filing project, the crown shape was formed by hand with a tri-cut files, and then hardened, tempered and sharpened as usual. The inside chamfer tool (bottom right) is designed for putting a light chamfer on drilled holes, although I have to admit I don't really like the way it cuts brass, and rarely use it on anything except steel. 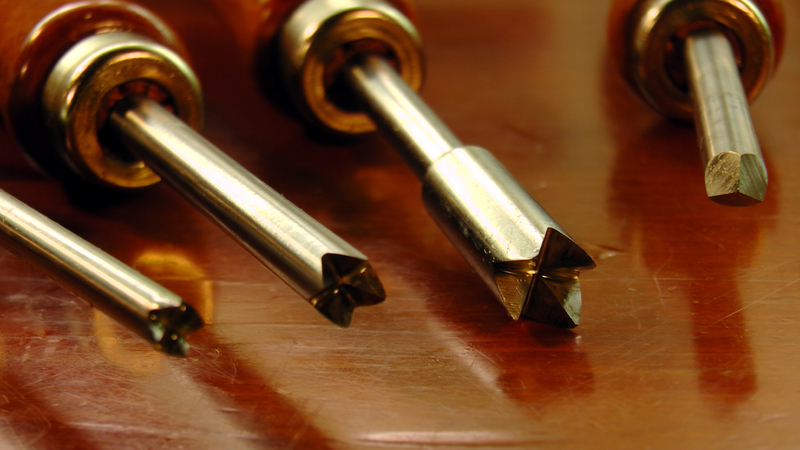 For brass, I much prefer a light twist of one of the hand held countersink tools.